A rowhome is destroyed after a fire followed by some sort of explosion in Hampden Monday morning. 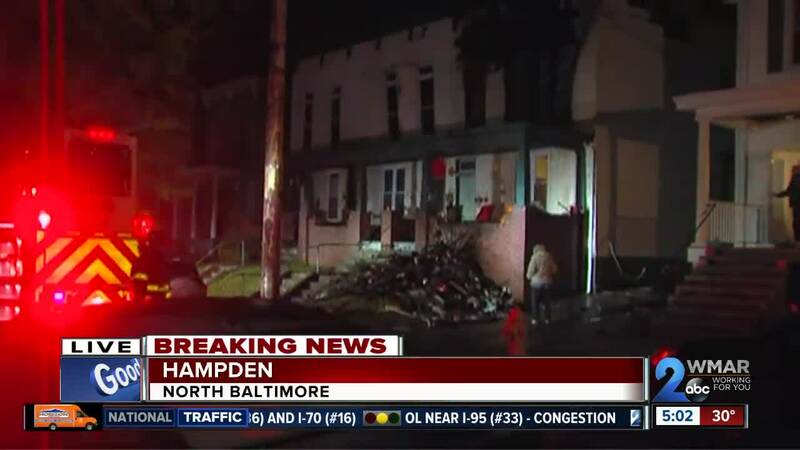 Baltimore City Firefighters were called to the 1000 block of W. 38th Street around 1 a.m. and immediately saw heavy fire and smoke coming from the second floor of the home. Crews say the fire was nearly out when some sort of explosion occurred. There were seven people in the house at the time and none of them are reportedly injured. Fire crews still don't know what caused the fire or the supposed explosion, but they are continuing to investigate.